I’ve always been intrigued by Dalwhinnie. While it falls into the light but stark, slightly floral highlands style, there’s usually a surprise in the form of a sulphury bite to my palate. This 1970 is easy to overlook because of its waifish profile and low abv, so it comes off as light, if nuanced. Deserving of closer study I think. The results are encouraging: Cold poached pears and grated nutmeg, little potpourri satchets, lovage and dried oregano. A smear of old beeswax, forgotten honey, grimy garage cloth, oiled but uncleaned tools, and a sulphurous edge which grips the tongue with a thickness and texture that belies it’s suppleness. More spent matchsticks and cold embers. A slimline Mortlach? There is also a 1962 which i expect would be very similar, and if it is, all the better – This 1963 is markedly different, not just hinting at old phenolic things, it’s actually quite loaded with phenols. Soot, black earth, thick crusted grime, hints of dirty black smoke perhaps from that put out cigar. Honey and yellow fruit too. I enjoy this profile very much, and now I’m wondering about the floor maltings, which ceased in 1968. Engine oil, crushed resinous bark, camphor, licorice sticks, dirty flints and cold black tea. The Connoisseurs Choice Brown labels were very good but this one might be a new favourite now. To be honest, I don’t think I ever saw an independently bottled Dalwhinnie in real life… tasting these old gems must have been quite an experience! Yes it was! You are right there aren’t that many IB Dalwhinnies about, which is a pity. Dalwhinnie seems to be one of those whose house style has changed significantly over the years, so if you see an old one give it a shot! 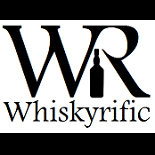 This entry was posted on April 12, 2019 by Whiskyrific in Dalwhinnie and tagged Dalwhinnie.